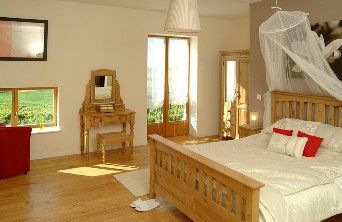 Beautiful location for your self-catering holiday! 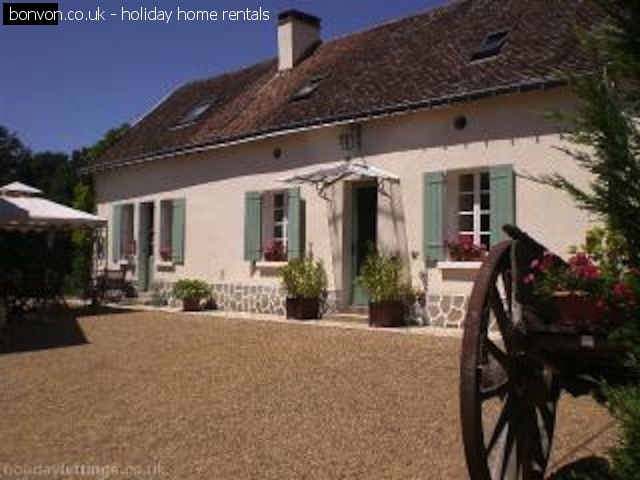 Les Gites Fleuris Wisteria house has views from the windows and balcony of the surrounding countryside of rolling hills and valley. This 3 bedroom house is perfect for your family vacation! The house is fully equipped with kitchen, salon with big stone fireplace, bedrooms with hardwood and beamy ceilings, bathroom with double sinks and tub/shower. Laundry room with washer and dryer, as well as free Wifi! An easy walk 1km down a country lane to: supermarket, bank, boulangerie, restaurants, medical center, bar; and 2km: post, pharmacy, office of tourism, more restaurants, and the Magnificent Chateau de Hautefort! 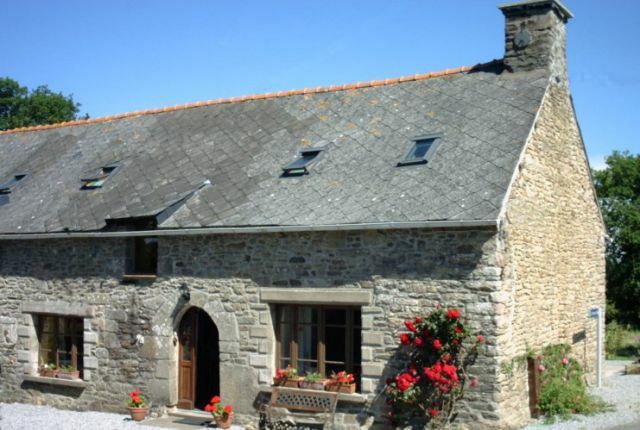 Your self catering holiday is made easy here, because the location is so convenient to everything you need, but still nestled in the countryside! Nearby you can visit the amazing sites of the Dordogne: 1001 castles, Caves with CroMagnon art, medieval villages that are often used for movie locations. Outdoor markets abound with the local farm products! The Perigord is know for the food! Visit the farms that produce all these specialty food items like foie gras and confit. The local restaurants have received rave reviews from our guests! A warm welcome awaits you from your hosts, Renata & Larry Barnes! We are here to help you plan your day trips, or to just enjoy a glass of the home made walnut wine!